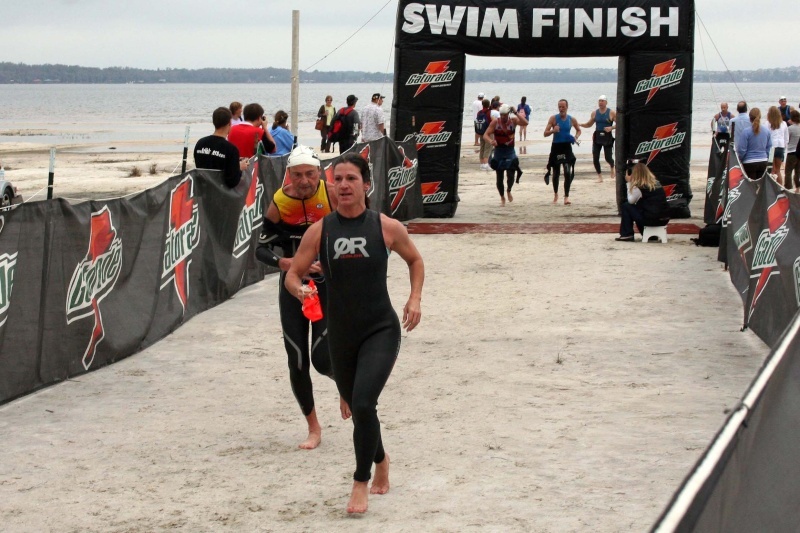 I liked this triathlon even though it's in February. I didn't swim a single stroke in preparation for this one, and usually I do the best on the swim. What's cool about this tri is that it's small--only 200 athletes were there--and there are a bunch of world championship elites competing with you. This was my first tri with a wetsuit AND my new tri bike, so I was anxious to see if my times would improve with my new equipment. I placed second in my age group, which qualified me for the Escape From Alcatraz triathlon. However, I won't be able to compete in that one because I'll be in England the month before and I won't be doing any training there. congrats girl! you should have an awesome season if you are racing this well so early!